The Ubiquiti UniFi AC Pro can be deployed both indoors and outdoors, in wireless networks requiring maximum performance. Sporting a weatherproof design, the UniFi UAP AC Pro features simultaneous, dual-band, 3x3 MIMO technology and convenient 802.3af PoE/802.3at PoE+ compatibility. 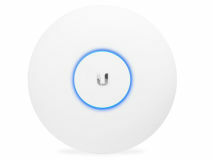 The Ubiquiti UniFi AC Pro features speeds of up to 450Mbps in 2GHz and 1300 Mbps in 5GHz. The UniFi AC Pro is also available as part of a 5 pack without PoE Injectors. 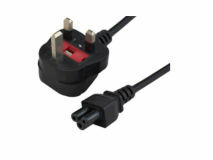 Perfect for use with the Ubiquiti UniFi Switch.